Yesterday was my little girl's first birthday! Yeah! A few weeks ago, she fell in the daycare and her upper gum and teeth got hurt. The teacher in daycare told me that she was trying to stand on her own but her dress was on the way. So no more dress until she can walk. 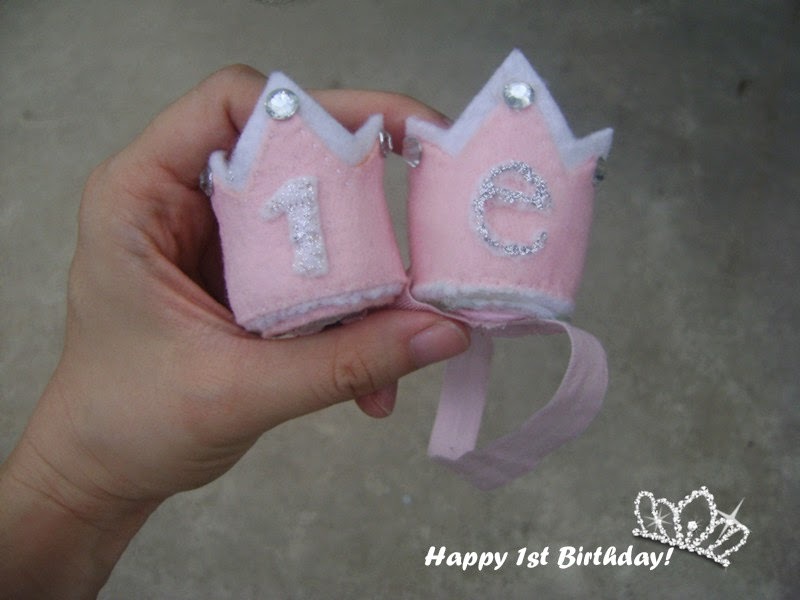 A mini princess crown was what I decided to do. I did not search hard for a tutorial or template because I think I can pretty come up with a mini crown template pretty easily myself. Here it is. Just sketched on my sketch paper. Then I cut two pieces of felt fabric. One slightly smaller than the other. 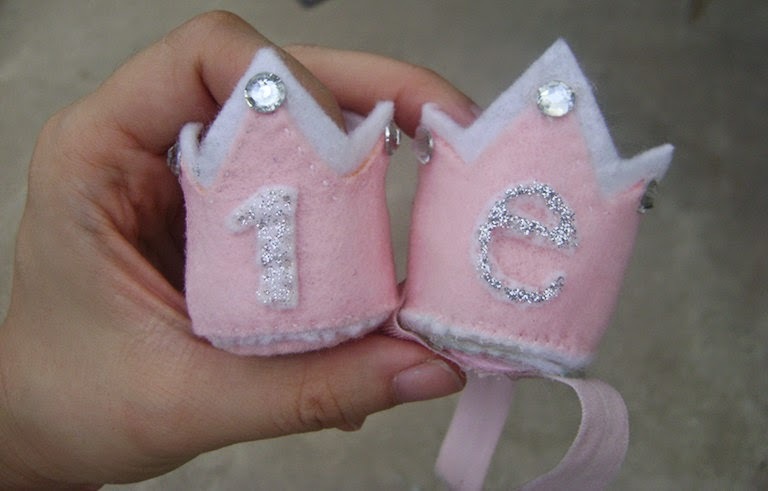 Don't forget to cut a "1" for 1st birthday. I always use my daughter's crayons to trace pattern because they are water washable. I use white crayon for dark fabric and colorful ones for light color fabric. Then hand stitch the pink felt to the bigger white piece. Stitch two edges together to form a round shape (not shown in pic) and cut a round piece for the bottom of the crown. Stitch the bottom on. 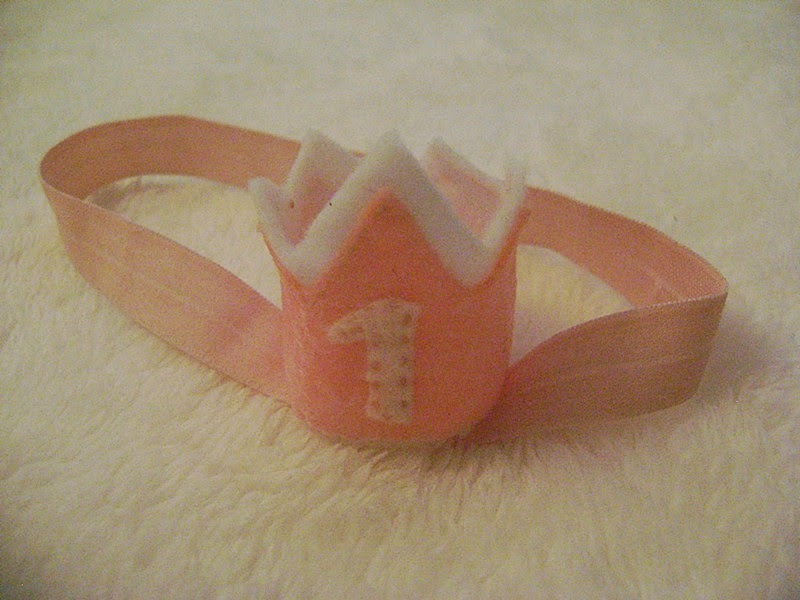 Then on the bottom, hot glue hand band or hair clip. It's up to you. 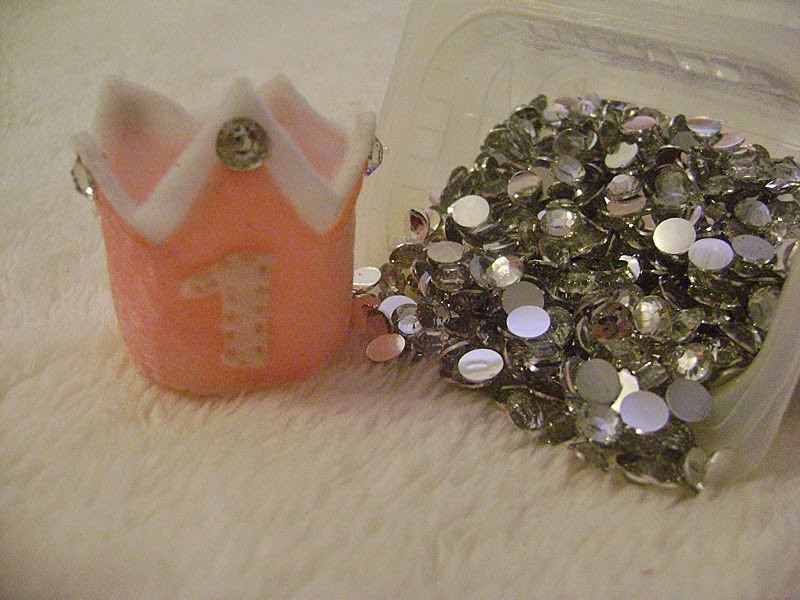 Oh, don't forget to glue some rhinestones. My neighbor's daughter Emily is just one day younger than my daughter. She is now spending summer in China with the grandparents. So, instead of "1", I put "e" for "Emily."